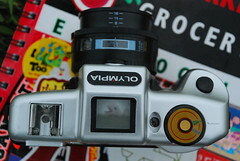 This article refers to a series of cheap plastic 35mm cameras, sold under a bewildering number of names and styling variations, designed to deceive the shopper. 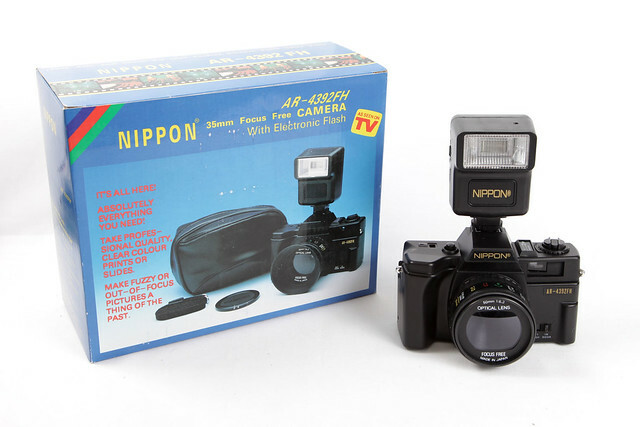 They are often seen advertised on auction sites at ridiculously high prices, sometimes as an outfit including an equally cheaply-made tripod and carrying case. They have been attributed to the Ouyama company based in Taiwan, and are manufactured in China. 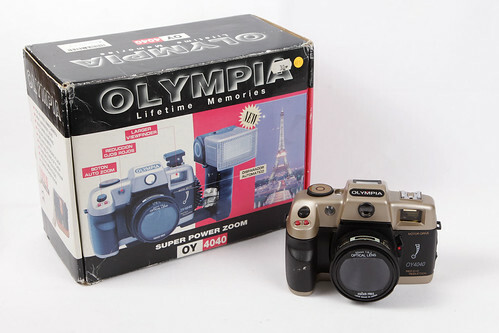 Elaborate styling that superficially resembles an SLR, a metal weight in the base to conceal the all-plastic construction, and (typically) a battery-driven film advance (sometimes labeled as "Full Motor Drive") - all distract the buyer from noticing that these are basically trashcams. 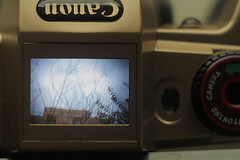 They have fixed focus, poor-quality "optical" lenses; and while the aperture may be adjusted from (nominally) f/6.3 to f/16, there is a single, non-adjustable shutter speed. 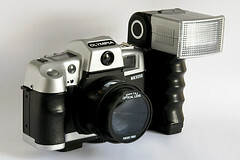 The apparently large lens diameter is mostly a dummy clear plastic cover; the actual optics are much smaller and recessed into the plastic barrel. 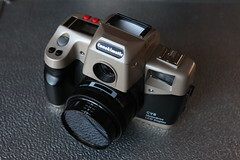 Most shameless is the variety of names under which the camera is sold. 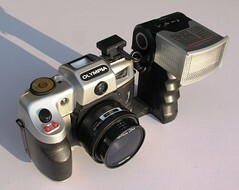 "Olympia" is intended to sound vaguely like Olympus; "Nikai" or "Nokina" like Nikon; and "Tashika" like Yashica. 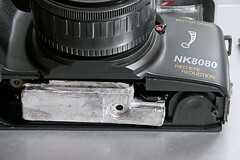 Many others simply use counterfeit Canon (or "Canomatic") labeling—right down to the stylized font used for the name. 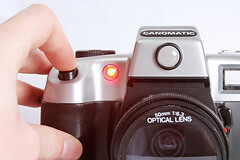 Other names that have also been observed include Ouyama, Mitsuba, Panoramic, Sonaki, Elco, Ultima, Rokinon, Akira, Cyber 2002, Nikkei, Minotar, Panasound and even Sony. There are undoubtedly others. 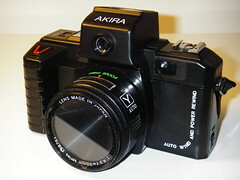 An oddity of many of these models is the inclusion of a brilliant finder within the top housing (where a real SLR would have a pentaprism). As there is no focusing adjustment possible, this is simply a stylistic flourish; and recent models seem to omit it. 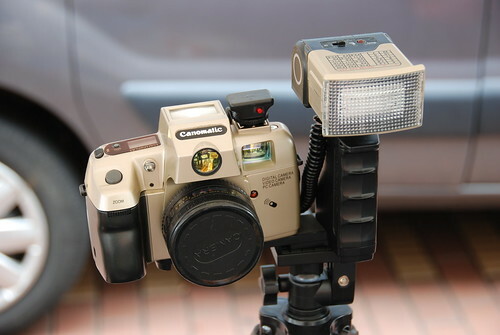 The camera kit may also include a separate "potato masher"-styled electronic flash: Impressive-looking, but equally shoddy in its construction. This page was last edited on 31 October 2018, at 10:45.